As SIG enters its 60th year of trading who would have predicted the extraordinary developments of digital technology? Laptops no bigger than an A4 book, smartphones, tablets, augmented reality, drones and much more. Furthermore who could have predicted modern technology market disruptors resulting in rapid business development for some and demise for others slow to react. Information has never been more readily available/accessible; bringing about market access via a key board, exposing new products and concepts to new customers both cheaply and easily. Ever noticed the scrolling banners on your web browser showing products you have looked at recently? That is no coincidence; that is digital marketing at work. Before lapsing into the construction industry default “it will never catch on”, there is evidence to prove that this is happening now and what’s more it is heading towards us, rapidly! For the last two years SIG has been keeping a very close eye on one such technological digital development. I refer of course to Building Information Modelling (BIM) and how this digitalisation of the design and build process might impact the construction industry supply chain. It is easy to see how a more empirical approach to design using technology would bring efficiencies. Such efficiencies like the 30% of waste material SIG supply to the construction industry that goes straight into a skip, would no longer be required. In both of these simple cases there is an impact on the supply chain is obvious; less material is supplied as only those materials actually required are ordered in good time. It’s not all doom and gloom, simply different. This is simply computers’ doing the mundane tasks which enables humans to deal with the more complex tasks. Whist Artificial Intelligence is here in a very minor way (predictive text, for example) it is many years away from being able to assimilate complex situations outside of a defined rule set. The construction of a building is fundamentally a very complex task as two buildings are rarely alike. Bring on the expert, bring on a person! People are also at the heart of the digital developments at SIG. Over the last 5 years it has been specialist people within SIG360 Technical Centre who have developed tools to establish a more efficient way of advising product selection. By setting up product performance and cost as simple rules, the selection of a product to meet expected performance can be made both quickly and consistently. This ensures the customer is always receiving the most cost effective solution for the problem at hand. 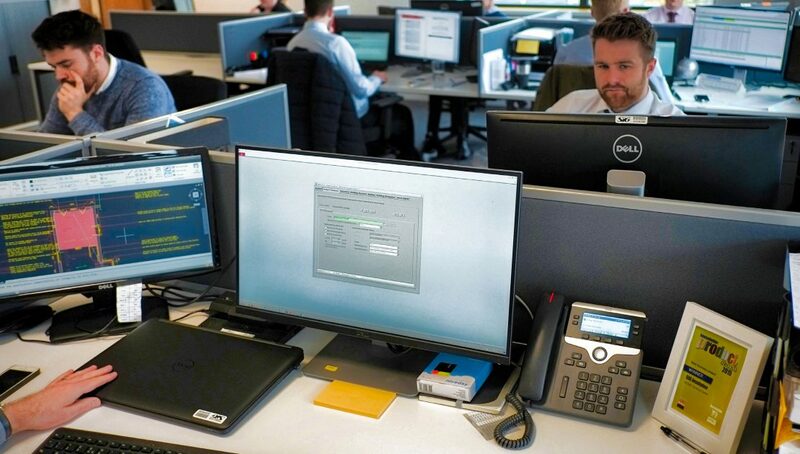 To some extent this allows the computer to carry out the mundane tasks that frees up the Technical Team to consider more complex issues such as cold bridging solutions. Whilst these tools are digital in application they are currently used in an analogy process; the technical team extract the information from the tool and respond to the customer by email or face to face by completing project technical notes manually. In early 2017 SIG360 will have the capability to receive and upload CAD drawings from our customers, hopefully in 3D to make the most of the digital capability, into a software platform where the Technical Team will be able to examine and advise on products that are being specified. The response, including all the required product information associated with the SIG360 recommendations, is then sent back by the same method for the designers to introduce those products into their model. Not a sheet of paper in sight.